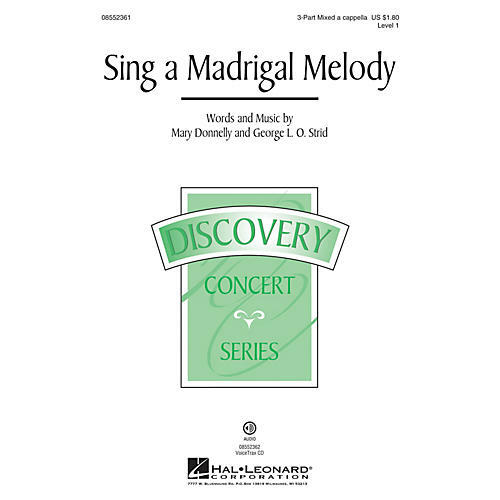 Here is a playful contemporary madrigal for younger mixed choirs that will be great for concerts and festivals at any time of year. Set in a buoyant 3/4, the strophic text will be easy to learn and provide a successful first a cappella experience for beginning singers. Available separately: 3-Part Mixed a cappella, VoiceTrax CD. Duration: ca. 1:25.